Reader Question: How Can I Invest in Stocks? 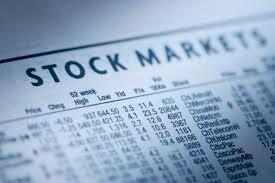 Today we have a question from reader AM who is inquiring about investing in stocks. So I have a financial question and if you already have an article about it I apologize, send my way! Do you have some of your money in aggressive stocks? If so which ones and how much? I’ve obviously been able to save money and it’s not making money sitting in the bank. I don’t want to invest in real estate yet but want to with stocks. Any advice would be amazing. Thank you!! To answer reader AM’s question, yes I do have some of my money in stocks, a lot of it in fact. But the first thing you have to do is differentiate money for retirement from money for everything else. The reason why this is important is because most people don’t come close to maxing out their tax advantaged retirement accounts. I think a minimum of 20% of your pre-tax income is a good figure to contribute to your retirement accounts. But whatever percentage you do contribute, that money should be thought of as a very long term investment. In my retirement accounts (401(k), Roth IRA and HSA) I use a fairly aggressive 90% Stocks/10% Bonds allocation. A good starting point for determining your asset allocation is to hold your age in bonds. So if you’re a 30 year old investor, you should hold 30% Bonds and 70% stocks. It’s easy to take on a high allocation of stocks (>50%) when things are going well but what would you do if your stock investments went down by 50% next year? Most people think they can stomach investing in stocks but when the market goes down, they sell and when the market goes up, they buy (that’s not what you’re supposed to do). That’s why it’s so important to educate yourself about the history of the stock market and understand the basics of investment theory. If you’re considering putting a significant amount of money in stocks I would recommend The Boglehead’s Guide to Investing. You can read a review here but it’s one of the best books for beginner investors. When I hear the term ‘investing in stocks’ I think of my retirement accounts but not everyone thinks like that. In this case, I think reader AM is more concerned with what to do with the money sitting in her bank account. Let’s assume that she already has some money going towards retirement and now wants to know how she can invest in stocks in her after-tax accounts (after-tax accounts are just normal brokerage accounts that you would set up with money from your bank account and pay capital gains taxes on). The thing you have to keep in mind though is that investing in stocks is not a short term thing. I’m not going to ‘retire’ until I’m 65 (it will be A LOT sooner than that) so my investment horizon is 30-40 years and that means I could care less what happens to the market in the next 5-10 years. But in today’s low interest rate market a lot of investors are looking for higher yields. If your bank is paying you 0.1% interest, then the first thing you should do is switch to an online bank 🙂 But in all seriousness, even online banks aren’t paying much more than 1-2% on guaranteed investments like CD’s. If inflation is at 3% that means that your savings account is actually losing money every year. So what’s the solution? A lot of people think that investing in stocks or even bonds is the solution in a low interest rate market. And while it’s true that they will likely give you a higher return, we know that there will be more risk. If you can only get a guaranteed 1-2% return on your money, you know that there will be a proportionate amount (and sometimes more on crappy investments) of risk on any investment that is expected to return 7-10%. So what that means is the higher return you plan on getting, the more risk there will be. There is no getting around this, risk and return are ALWAYS related. Everyone should read the last two sentences again just to make sure it sinks in. If you’ve taken the time to educate yourself and you understand the risk of investing in stocks, then it’s time to figure out what to invest in. I mainly invest in low cost index funds so that’s what I generally recommend. In this case, I think reader AM would be well suited to invest in a low cost S&P 500 Index Fund (like VTI) or Total Market Fund (like VOO). I like Vanguard funds but there are lots of funds out there that do the same thing. Just make sure that the fund is passively managed and it has a low expense ratio (.1% or less is good in my book). As far as individual stocks, I don’t invest in individual stocks but there are lots of people who do (maybe even most people?). But based off nearly every study out there, most people are doing a bad job with their investments so I would probably avoid what most people are doing. The only caveat here is that this analysis all depends on how much money reader AM is contributing to her retirement accounts. If you’re not maxing out your retirement accounts, there’s really no point in investing in stocks in your after tax accounts since you’re giving up all that preferential tax treatment. Stocks are not a good short term investment so generally they’re better suited in tax advantaged retirement accounts. So in summary, I’m glad that reader AM is taking the first steps to educate herself about investing. Honestly, it’s a lot of work to figure it all out but it could mean the difference between retiring early or working until you’re 75 and in my book that’s worth it. Once you understand the basics of investing, the fun part will start and you’ll get to pick out all of your investments and watch them grow (hopefully). Investing is easy when things are going well since you can pretty much do anything and see positive returns but where it gets tough is when things aren’t going so well. You might think that you’re a risky investor until your first bear market causes your retirement accounts to lose 50% of its value. That’s when the good are separated from the bad. If you have a solid investment background and know that the markets will eventually come back you’ll be a lot less likely to sell and shoot yourself in the foot. You can’t predict when stocks are going to go up or down but bad investors buy high/sell low. Good investors buy and hold for the long run. Readers what do you think AM should do with her investments? Does it make sense to invest in stocks in after tax accounts if you’re not maxing out your retirement accounts? I don’t think so..
Hey MBH, I’d say even if you can’t really afford it, that might be a good idea. Humans love to gamble so it’s only natural that they would want to satiate that thirst by doing a little individual stock trading. I still think you should educate yourself first because it only really takes one good personal finance book to prove that the odds of being a successful individual stock picker are heavily stacked against you (not to mention all the time you have to spend researching). I think people who are asking this question should start with index funds because they obviously don’t know what they are doing. I am one of these people, but I’m slowly learning and am doing a little bit of research on some companies. Once you know what you’re doing, then you should maybe play around the stock market (other than mutual funds). Hey Aldo, this is the Catch 22 of investing. If you’re just a beginner, then you don’t know that you should be in low cost index funds and you will probably listen to other people who talk about individual funds and random high ER funds. I think that’s a fine plan, use index funds for your baseline and then take higher risk that may enable you to retire earlier. Investing for your retirement is a smart thing to do since you get a tax break for doing so. But investing in a taxable account is also smart as well. If you are investing in a 401k or traditional IRA, you don’t have access to any of that money before 59 1/2 unless you want to paid penalties. If you invest in a Roth, you can take your contributions out, penalty free, but I still caution against that since the money is for retirement. Because of this, I think it is smart to put some money in a taxable account so that it can grow and you don’t have to worry about penalties for withdrawing the money. Granted you will pay taxes on gains, but if left invested long enough, you can get a reduced tax rates. Hi Jon, thanks for your comment. You’re correct in your statement but would you recommend someone invest in stocks for short term (5-10 years) saving needs? I sure as hell wouldn’t. I think money put in retirement accounts should stay there for retirement like you but if you’re not maxing out your Roth, you might as well take advantage of the tax free space. I think investing in stocks rarely makes sense in a taxable account unless you’re playing catch-up. If you start early you will never need to drop a single penny in an after tax account and you can invest in other things like real estate, which is where I like to put my excess after tax money. Asset allocation is important. At 43 I’m now mostly in very low cost index funds at Vanguard. If you have $3,000 you can buy VTSMX. You are buying 3,684 stocks across all stock segments. Add an international fund like VGTSX (Total international) and VBMFX (Total Bond) and you have some crazy diversification at really low costs. Bogleheads.org is a treasure trove of information. Their 10 concepts are a great start. As usual there are a number of ways to “invest”. Read, research, learn and decide. Yea that’s really about all you need to do. Unfortunately figuring that out is the hard part.